Italian cruise company MSC is a relative newcomer to the Port of Miami, but they’re making moves to compete with the other major cruise lines. The cruise line’s new MSC Seaside is scheduled to join the fleet sailing out of Miami in November of 2017. 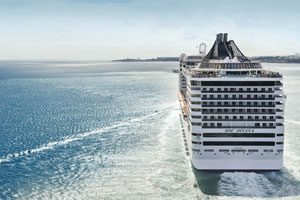 MSC has also announced that one more cruise ship will join their Miami fleet in 2019. MSC Cruises ships sailing from Miami include MSC Divina.